In an interaction with Restaurant India, Rajiv Kumar, Business Alliances at Pyszne Foods Services shares how they prepare healthy food for their customers. Culinate provides to their customers with awesome ready to eat pre-cooked food with meal combos from soups, salad, sandwiches and juices. They have paid special emphasis to keep the whole package healthy, wholesome and packed with flavours. How do you prepare refreshing and healthy food for your customers? What are the ingredients you add to make it an ideal meal? We source our veggies, meats and other raw materials from the renowned vendors and importers. Our procurement is done every day early in the morning for the anticipated demand forecast that we do based on analysis of our campaigns, both online and offline. Every day, we have a limited number of meals prepared for Lunch and Dinners. Thus we are able to make the produces fresh, on demand and are able to control waste. How do you do the pricing of your products? We are creating our own ERP that captures the dynamic pricing of our ingredients and accordingly adjusts the pricing. But, we understand the consumer cannot be subjected to price fluctuations daily, thus we are building internal benchmarks on raw material and cost of goods. These help us price our products competitively. Also, we incentivise our consumers to eat healthy. A sandwich may cost more than a combo of sandwich with salad bought individually. Thus the more healthy options you chose, the less calories you consume and the lesser you pay too. What will be your new techniques in food which will help your restaurant to develop? We intend to use consumer data in a big way to improve our products and make them available “On demand and On premises”. Healthy can be tasty is our motto, added to the hygienic environment we produce in our food. If they can be safely consumed by children, then they can be safe for everyone. We have already taken some steps in this direction; we are prepared to take more. We deliver chef crafted recipes and required ingredients for aspiring home chefs. Freshly home cooked meals are an emotional connects within the family, especially if we take out the pressure of meal planning, shopping, chopping & delivering ingredients then the meal will come out restaurant quality. How much social media is included when marketing? Do you also get order through these media? We use a lot of social media to discuss and tap food preferences, engage in conversation on nutrition, taste and techniques of cooking. Currently, we are generating a lot of queries via social media those need to be translated into business. That work is in progress. What are the meal combos you provide to your customers? We are a Food Commerce Company; we deliver chef crafted recipes and required ingredients to aspiring home chefs. Thus our ready to cook boxes is not just a box of ingredients but a 5 star culinary experience right at your home, through your own kitchen, using your own skills. Our ready to eat boxes has been curate to serve the office goers seeking light, nutritious and grease free meals. 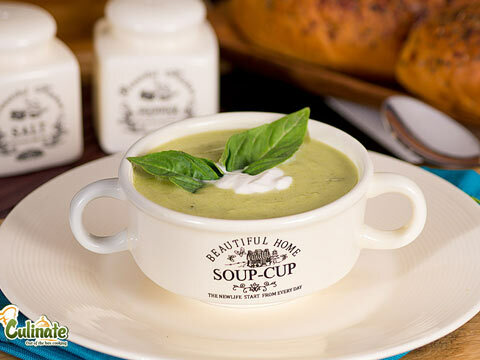 We serve Hearty Soups, Health Salads, sumptuous sandwich and nutritious Fresh Juices. Often meal plans are missed due to cumbersome, tasteless, dietary preparations that require a lot of ‘sacrifices’. Culinate’s low calories meals are nutrition focused; health focused and feels good focussed. What locations have you earmarked for your future locations? While setting up our base operations in Noida, we are talking to a partner in Pune for our second location. Expanding to Delhi NCR will be our first priority, with Pune as parallel destination. Our primary target is an office goer looking to have healthy meal options while at work. But we are engaging with everyone who’s looking to eat and cook healthy. This is our first month of commercial operations; so it is too early for us to discuss these numbers. Green Beans Coffee may enter Indian by next year- ..